Go get your own Huawei Y9 (2019) custom case. Protect your phone against all bumps and dents. You can easily make your own Huawei case with us. 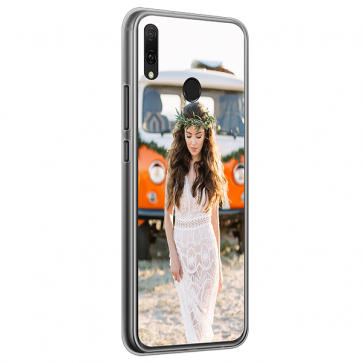 Get your custom case today! Are you looking for a new case for your phone, but you are bored of all of the same phone cases? Then start designing your own Huawei Y9 (2019) custom case. You can do this very easily in our customizer! With this case, you will protect your phone against all the bumps and dents. You can guarantee your phone will look like new. You certainly don’t have a boring case anymore if you start creating your own Huawei Y9 custom case. You’ll have a case that makes everyone jealous! It gives your phone a unique look and is optimally protected. You can already make your case in a few easy steps. Get your own Huawei Y9 custom case. 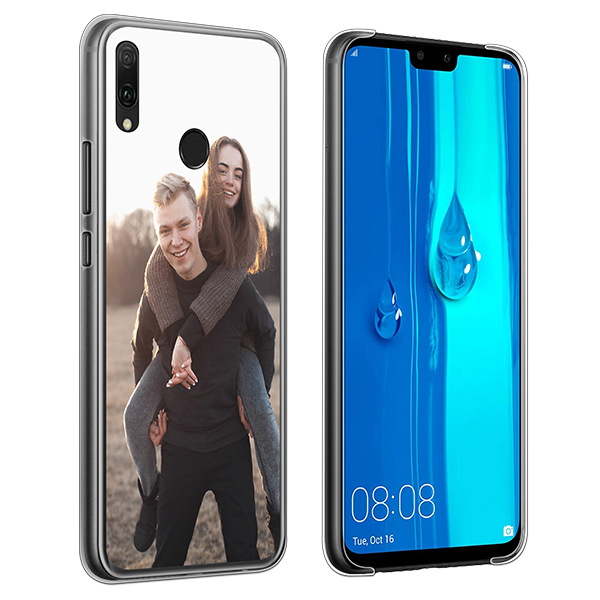 In our customizer, you can easily create your own custom phone case for your Huawei Y9. You only need to choose which picture you want to use and upload it to the customizer. It’s possible to upload your picture from your computer or easily from your social media account. Once your picture is uploaded, you can adjust it the way you want. For example, you can change the size of the picture. Also, you can add text, like a quote or a special date. If that’s not enough already, it’s also possible to add stickers or use a filter! What are you waiting for? Creating your own Huawei Y9 Custom Case is really easy. Try it today! 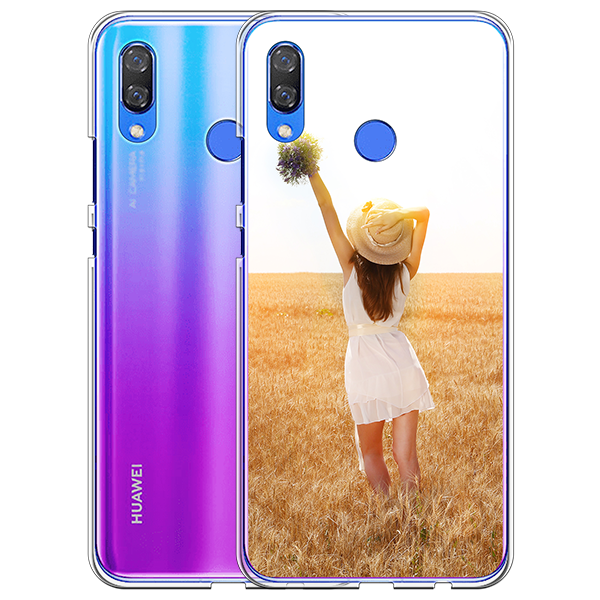 Creating your own Huawei Y9 (2019) custom case was easy, wasn’t it? After you designed your case, then you can place your order. Please make sure that all your shipping details are correct because we want you to be happy with your case, instead of your neighbor. After you have double checked everything, it is our turn! Once we receive your order, our production team will start working immediately. You will receive your order as soon as possible. If you’ve got any questions, please don’t hesitate to get in touch with our support team. They are happy to help you!